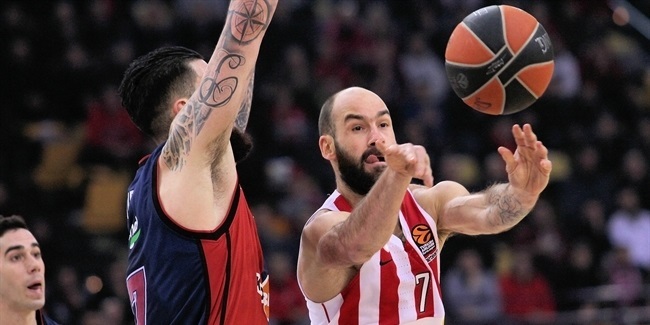 Vassilis Spanoulis added another historic accomplishment in a glittering career that is already full of them by becoming the EuroLeague assist king on Friday. The Olympiacos Piraeus star surpassed the total of 1,255 assists made by his compatriot and former teammate Dimitris Diamantidis during the Turkish Airlines EuroLeague Regular Season Round 29 road game at Unicaja Malaga. 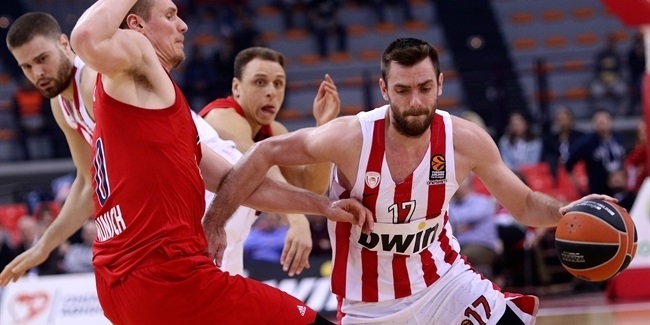 Spanoulis entered the game needing 4 assists to capture the crown and delivered the record-breaking assist on a kick-out pass for a three-pointer by Vangelis Mantzaris with 10 seconds to go in the first quarter. In doing so, Spanoulis set the record despite playing six games fewer (272) than Diamantidis needed. His dimes at Malaga also took Spanoulis past the total of 100 assists for the current season, marking the sixth consecutive year he has reached triple figures. He has now tallied at least 4 assists on 15 occasions so far this season, despite missing the first 10 games through injury. In his 12th EuroLeague season – and eighth with the Reds, Spanoulis is averaging 12.8 points and is fourth in the league with 5.5 assists per game. 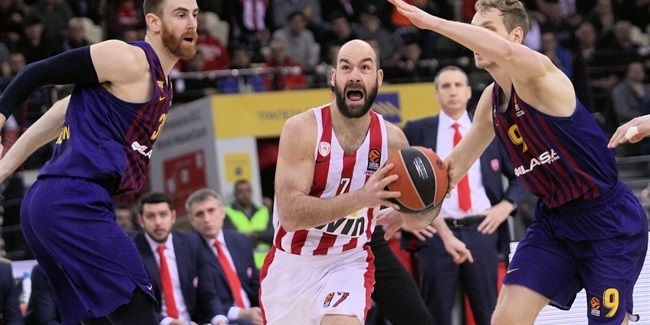 Spanoulis, 35, is a three-time EuroLeague champion, who took home the Final Four MVP trophy on each of those occasions - with Panathinaikos in 2009 and Olympiacos in 2012 and 2013. He was chosen EuroLeague MVP for the 2012-13 campaign and was selected to the All-EuroLeague team seven times, which is tied for the most in competition history. Spanoulis entered Friday’s contest ranked second all-time in scoring (3,630 points), fourth in three-pointers made (399) and 10th in steals (232).